Jackie Miller embodies the true essence of Montana, and her community heritage runs deep as her Gallatin Valley family has successfully made their mark in the ranching and development businesses for over five generations. Jackie graduated from Montana State University with a degree in Business Management. While she had the opportunity to enjoy extensive world travel, she found nothing could compare to her beloved Montana. She made Montana her permanent home and established a strong career in real estate, representing both primary and secondary home buyers and sellers. Jackie found many aspects of the real estate industry rewarding, especially the ability to help her clients find their ideal lifestyle and special place in Montana. 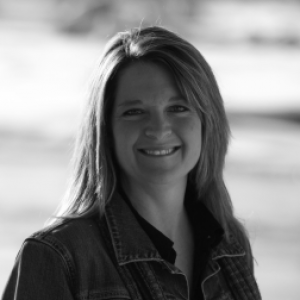 In a short time, Jackie became a broker and partner in one of the largest residential real estate firms in Bozeman and has successfully been a top producer for 18 years. As Jackie excelled in her professional career, she also excelled in the recreation opportunities abundant in her beloved Montana. Her achievements include top ranking as a five-time National Skijoring Champion, and both a competitor and certified World Cup judge in mogul ski competitions. These experiences provided her with the opportunity to experience skiing at the finest resorts in the western states. Her enthusiasm and desire to inspire others lead her to create a highly successful Women's Program for Yellowstone Club. Just as in sports, Jackie thrives on being competitive and knowledgeable for her clients in business. Her integrity, attention to detail and hard work in Gallatin County have consistently earned the trust and respect of her clients. Jackie and her husband Kevin have been together for 20 years and enjoy every aspect of Montana's vivid lifestyle.